Hide this Dealer (Devesh) Discover properties by other dealers by hiding those whom you have already spoken to. You won't see them in your searches further but you can unhide anytime later. Hide this Dealer (V R Group)Discover properties by other dealers by hiding those whom you have already spoken to. You won't see them in your searches further but you can unhide anytime later. Hide this Dealer (INDIRA ESTATE)Discover properties by other dealers by hiding those whom you have already spoken to. You won't see them in your searches further but you can unhide anytime later. What are sizes of apartments in BPTP Park Prime? 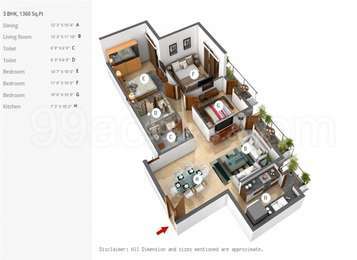 The apartment sizes in the project range from 1360.0 sqft to 2063.0 sqft. What is size of 3 bhk in BPTP Park Prime? 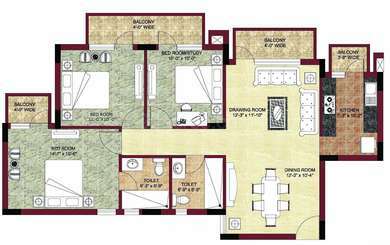 The area of 3 BHK apartments ranges from 1360.0 sqft to 2063.0 sqft. 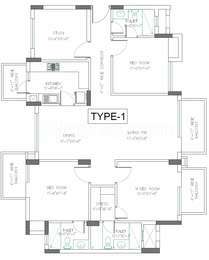 What is total area of 4 bhk in BPTP Park Prime? 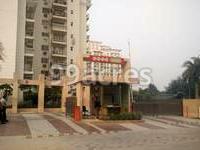 4 BHK units in the project are available in a size of 1999.0 sqft to 2062.0 sqft. What is the area of BPTP Park Prime?The total area that the project occupies is 11.06 Acres.